Coupons must be in date. To ensure product availability for all guests, we limit redemption to 4 like coupons. For example, if you have five of the same coupons and have purchased five items, we will accept four of the coupons. 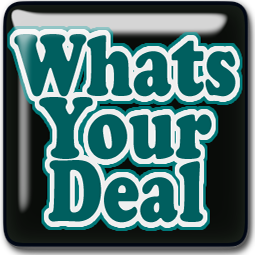 We will double up to 20 manufacturer coupons with a face value of $0.99 or less per day. From time to time, our manufacturer coupon promotions will be enhanced. For example, we may offer our guests the opportunity to triple their coupons. Special promotional opportunities will be featured in our circular or on-line. Lowes Foods welcomes legitimate manufacturer coupons when the following requirements are met. We will only accept internet coupons that have an expiration date. If no expiration date is visible, we cannot accept the coupon. To ensure product availability for all guests, we limit internet coupon redemption to two (2) like manufacturer coupons per day. For example, if you have three of the same internet coupons and have purchased three of the same items, we will accept two (2) of the internet coupons for those two (2) like items. We accept all Print at Home coupons from coupons.com as long as they are in date, unaltered, and are not copies. There is a limit of one coupon per purchase unless otherwise stated. Store coupons must be in date. We will not accept any competitor coupons for specific items. For example, we will not accept a competitor’s coupon for $1.00 off of an individual item. Purchase requirements must be met. We will not accept Just $ave coupons.